This study examines the influence of ethics instruction, religiosity, and intelligence on cheating behavior. A sample of 230 upper level, undergraduate business students had the opportunity to increase their chances of winning money in an experimental situation by falsely reporting their task performance. In general, the results indicate that students who attended worship services more frequently were less likely to cheat than those who attended worship services less frequently, but that students who had taken a course in business ethics were no less likely to cheat than students who had not taken such a course. 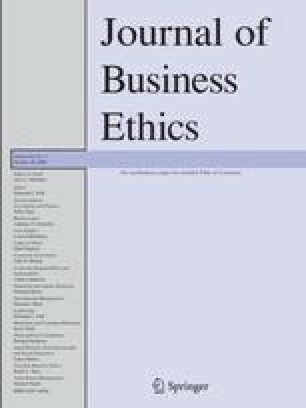 However, the results do indicate that the extent to which taking a business ethics course influenced cheating behavior was moderated by the religiosity and intelligence of the individual student. In particular, while students who were highly religious were unlikely to cheat whether or not they had taken a business ethics course, students who were not highly religious demonstrated less cheating if they had taken a business ethics course. In addition, the extent of cheating among highly intelligent students was significantly reduced if such students had taken a course in business ethics. Likewise, individuals who were highly intelligent displayed significantly less cheating if they were also highly religious. The implications of these findings are discussed. 1.Department of ManagementKansas State UniversityManhattanU.S.A.